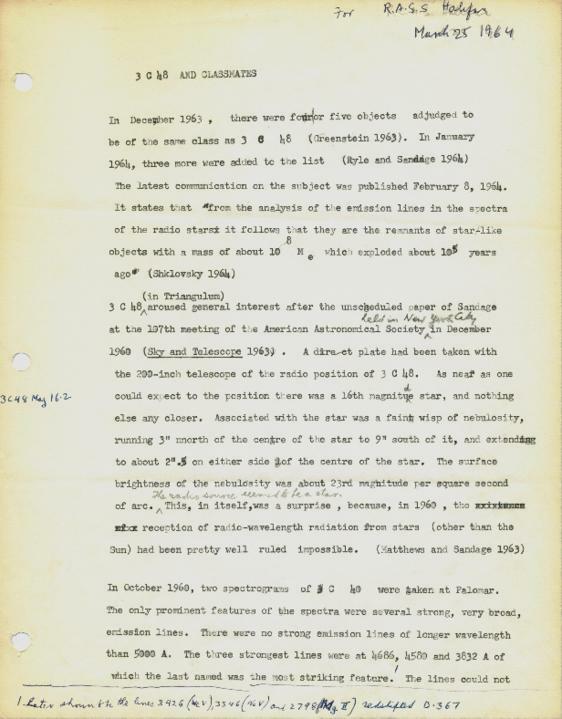 File consists of a lecture given by Father Burke-Gaffney to the R.A.S.S. in Halifax. The lecture discusses 3C 48 (a quasar discovered in 1960), and similar objects judged to be of the same class of objects. This version contains handwritten corrections and annotations.